Add an industrial style to your home by introducing this magnificent Aspen Pendant Light. 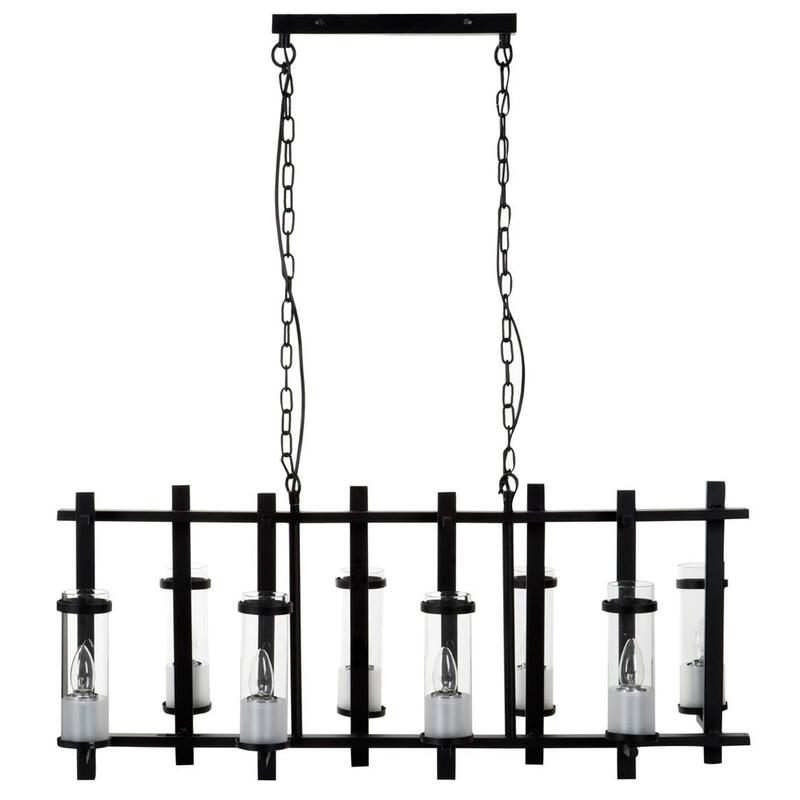 This pendant light features 8 glass lamps, 4 on each side of the frame, that contrast with the robust black metal frame to create a very unique and eye-catching piece. The frame is also held up by a striking chain which adds to the industrial style of the piece.